Money tree, known botanically as pachira aquatica and also as Malabar chestnut, is a large shrub or tree that produces flowers and fruit in the summer and fall. 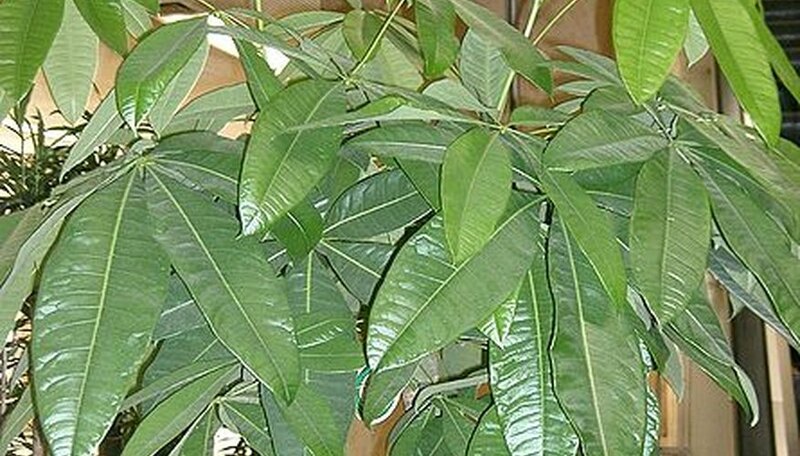 In common parlance, money tree refers to the young saplings or bonsai versions of pachira grown as indoor plants. Pachira trees are thought to bring luck and prosperity by followers of the Feng Shui philosophy, due to the plant's association with the lucky number 5 and the chi-improving power of live green and flowering plants. As the practice and awareness of feng shui has grown, so has the talismanic allure and widespread availability of the money tree. Select a specimen of money tree that has five young sappling trunks braided together to layer and increase the plants power to pull good luck and prosperity to you and the space the tree inhabits. The more repetitions of the number five that the objects hold or represent, the more significant its power to draw in the good is thought to be. Place a money tree in your home, work area or business to bring good luck and fortune or prosperity to you and your loved ones in that environment. In Feng Shui, wealth and prosperity is signified by wood and water elements and the color green. The tree trunk consists of wood, the leaves green and the plant is water loving so pachira is a clear analog for this Feng Shui belief. Give the gift of a money tree to bless the recipient with this same good luck and prosperity. Choose to have a pachira in your personal space for its five-lobed leaves, which signify the five key elements of feng shui practice: wood, water, metal, earth and fire. Five is also significant in Chinese culture as it represents the five primary colors in the visible light spectrum and well as the five elements of taste. What Is the Meaning of the Willow Tree?